Latest Job Notification has released titled NIT Kurukshetra Recruitment 2018. The National Institute of Technology, Kurukshetra has invited the application forms to the post of Associate Professor. Interested candidates can apply before 23rd February 2018. As per the notification totally 36 Associate Professor Vacancies are available. Willing contenders are advised to go through the complete article and check Education Qualification, Age Limit, Selection Process, Application Fee, Salary Details, Important Link and Important Dates are provided in the below section. Those who are suitable for NIT Kurukshetra Recruitment 2018 can attend for Walk in Interview on given address. Also, refer the official notification which is attached to the below section. More information about NIT Kurukshetra Vacancies 2018 is given below. NIT Kurukshetra Recruitment 2018: The National Institute of Technology, Kurukshetra has issued a new advertisement for the suitable candidates to fill up 36 Associate Professor Vacancies. Job Seekers who are interested in Associate Professor Jobs they can grab this chance and apply for NIT Kurukshetra Recruitment 2018 before 23rd February 2018. This is a great opportunity for the candidates who are willing for government jobs. Every year the National Institute of Technology, Kurukshetra is recruiting talented people for multiple positions. This year also the NIT Kurukshetra has released a notice for Associate Professor Vacancies. Applying candidates must be passed Ph.D. from any recognized university. So, aspirants who had required eligibility criteria for NIT Kurukshetra Jobs 2018 can use this chance. Candidates who wish to apply for this current NIT Kurukshetra Recruitment 2018 Notification must fill the form and submit it before the last date through online mode. From here applicants can get all the important information on NIT Kurukshetra Associate Professor Recruitment 2018. 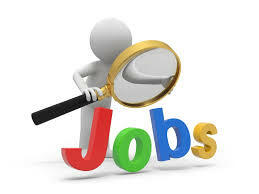 Stay tuned to our website SarkariRecruitment.com and get regular updates on Government jobs. The National Institute of Technology, Kurukshetra department has already started the application process. Interested candidates can fill the form and submit before 23rd February 2018. Refer the notification and check age limit details. After checking the eligibility criteria aspirants who are suitable for NIT Kurukshetra Recruitment 2018 they have to download the application form and fill with correct information. The NIT Kurukshetra has offered an opportunity for the eligible candidates. We are highly required to all the interested candidates can refer this complete page and submit the form before the last date. Moreover, to help the applicants in this section we are providing complete details about NIT Kurukshetra Recruitment 2018. Before filling the application form once refer this article or check the official notification completely. By referring the official website of National Institute of Technology, Kurukshetra the candidates can download the application form. Job Seekers whose dream is to get a job in National Institute of Technology, Kurukshetra can utilize this excellent opportunity. Candidates can easily find all the details through this page. To help the candidates we gather entire details and furnished in this section. Click on the below link and download the official notification. National Institute of Technology, Kurukshetra has recently revelated an official notification to fill the capable candidates for 36 Associate Professor Vacancies. The applicant’s selection process is based on NIT Kurukshetra norms. So, refer the notification and check selection process information. The General and OBC category candidates need to pay Rs. 1000/- as application fee and SC/ ST candidates must pay Rs. 500/- as application fee. After successfully completion of the selection rounds the candidates who got selected for Kurukshetra Jobs they will receive good remuneration. While checking down this page you can find NIT Kurukshetra Recruitment 2018 Notification Details, Eligibility Criteria, Age Limit, Age Relaxation, Application Fee, Salary Details, Selection Process and much more details. The given information is officially issued by National Institute of Technology, Kurukshetra. So, we highly suggest each and every applicant before going to fill the application form better to refer the complete information. We hope this information is very useful for the applicants while filling the forms. Candidates who are applying for Associate Professor Vacancies they must be passed Ph.D. from any recognized university or institute. Refer the official notification and check age limit details. The upper age relaxation for SC/ ST/ PWD/ PH category aspirants is based on National Institute of Technology, Kurukshetra norms. Check the official notification and refer selection process details. In order to get a job in National Institute of Technology, Kurukshetra candidates must clear all the selection rounds. The General and OBC aspirants Application fee is Rs:- 1000/-. And for SC/ ST category people the Application fee is Rs:- 500/-. The selected candidates for Associate Professor Vacancies must receive a good remuneration offered by National Institute of Technology, Kurukshetra. The Initial Date To Fill the Application Form: Started. The Final Date For Submitting the Application Form: 23rd February 2018. At first, all the applying candidates must visit the official website of National Institute of Technology, Kurukshetra www.nitkkr.ac.in. Now find for NIT Kurukshetra Recruitment 2018 Notification on the home page. Check the official notification completely. Download the application form and fill the form with correct information. Pay category wise application fee through online mode. Upload a required documents and send to the given postal address. Submit the application form before 23rd February 2018. Finally, take a print out for further purpose. All the applying candidates must check the NIT Kurukshetra Recruitment 2018 Details from the above section. So, we request all the candidates who are filling the application form once read the complete details. Aspirants can easily check their exam results on Sarkari Result.